Find the Xde.exe process and type it’s command line into a text file and save it (I put mine on the desktop) with a .bat extension. without any line breaks. 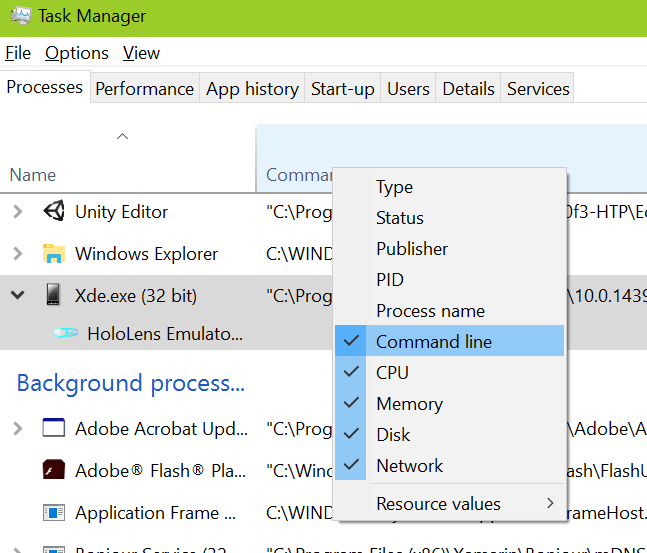 Double-clicking the file will start the emulator and you can then deploy to it remotely from a separate machine or use the HoloToolkit Build Window to build and deploy your app. 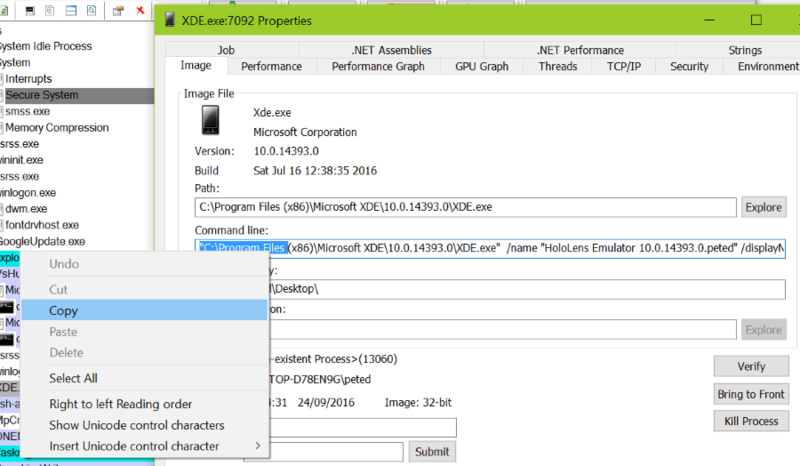 Hololens, you need to build without C# debugging, then in VS, select Master andand disable ARM and X64 when creating the package. When I run this command, a help document gets opened with an OK button. But the emulator never starts. Pl, help me get this resolved! check, that you type right command. Placing space between “/name “HoloLens Emulator 10.0.14393.0.peted” ” and “/displayName” helped me.